It’s time for the FINAL FOUR in the Denver Burger Bracket! The match-ups are getting tougher but we’re determined to find a winner! We choose the winners in the bracket and YOU vote for your favorite burger in our “People’s Choice” polls. Top vote getters will be in the final “People’s Choice” poll along with our final match-up. In the end we’ll crown Our Winner and a People’s Choice Winner! When you get to the semi-finals in any sport, you know your are dealing with top 4 teams in the tourney. Well folks, we are here. The Cherry Cricket and Highland Tap and Burger have met in the Final Four, without really much surprise to us. Although the Cricket had a close call with TAG Burger Bar, they were still able to deliver a solid, more consistent burger. 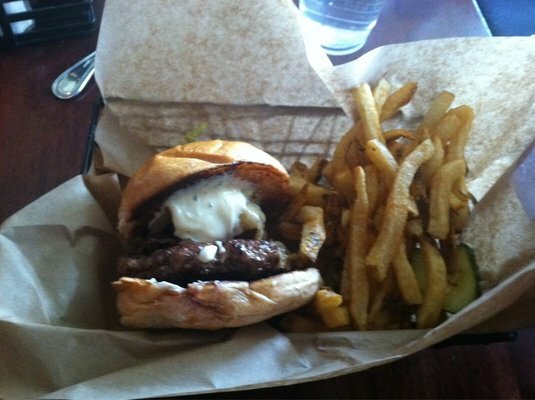 As for HTB, they dismissed Crave Real Burgers simply by having a superior, delicate, bun. So by now, we have pretty much nit-picked every one of the criteria used to choose a winner. Now what? How about we recap each place one more time and whatever get us jumping out of our seat to eat, wins. Let’s break it down. Does it matter the Cricket has a boat load of history or that it was on TV? No. Does it matter that it is located in the “fancy” Cherry Creek North. Nope, not at all. What does matter is this: They are consistent with their burgers, they have hundreds ( if not thousands) of combinations of toppings, and they provided a fun, “divey” type of experience for all people who enter. Like we said in the previous round, you know what to expect from the Cricket. There are typically no surprises. I mean, for the most part, people order the same thing every time they sit down. That is why the Cricket has such a rich tradition. 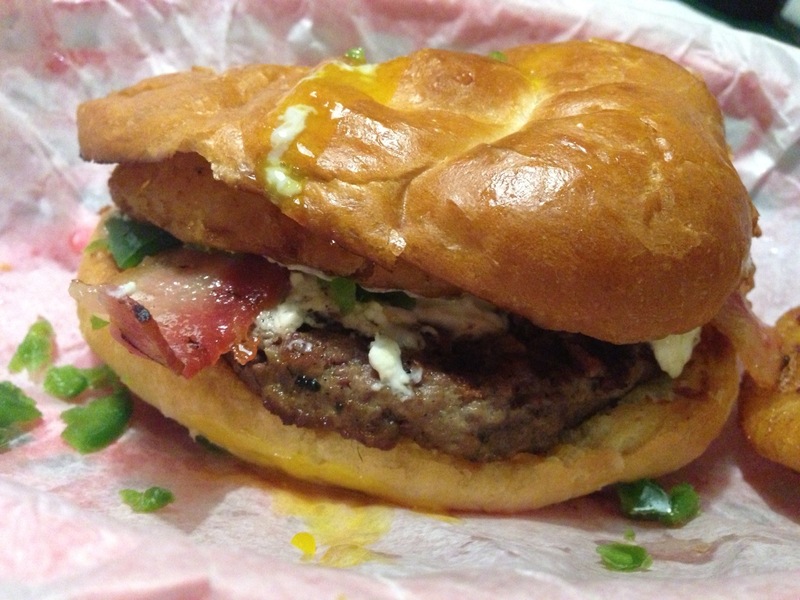 Whether your Cricket Burger has cream cheese and jalapeños or peanut butter and bacon you can always count on enjoying every bite and walking out quite satisfied. HTB has become one of the most popular LoHi destinations since they opened a few years ago. And its popularity is not because they play great music or that they have walls lined with televisions. They really craft an outstanding burger. Why is it so good? Well, to start, it just looks amazing; it’s a pro burger. When the bun has a shiny glare to it and you can see the cheese and toppings oozing out the sides, you know that the burger will be gone in only a few minutes (Well, maybe just for me). For others, they take their time and want to enjoy every single bite. For example, when you get your Tap Burger , complete with Knife sticking out the top, you know you are in a for a messy, juicy,tasty, and unforgettable burger. From the Tap Burger to the Shroom Luvas burger I had last week, to their ever evolving burger creations, you know that you’re going to get a well cooked burger that’s jam-packed with flavor when you head to HTB. The Cricket has been/is/will be a staple in the Cherry Creek area for a very long time. Highland Tap will also be a staple in the LoHi community for the years to come. 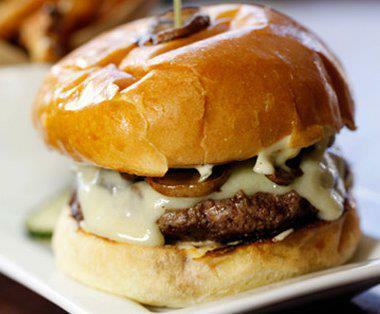 Both are known for their burgers and have received tons of recognition from the city of Denver, and perhaps the nation. But again, there are no ties in the playoffs. So, after the nit-picking, it was clear that one placed provided a bit more value and has proved once again that you better not mess with the new kid on the block. I can not stop thinking about my burger from HTB. Highland Tap and Burger, welcome to the Championship!